A true grassroots effort spearheaded by the whole village of Tagbaya Ibajay. 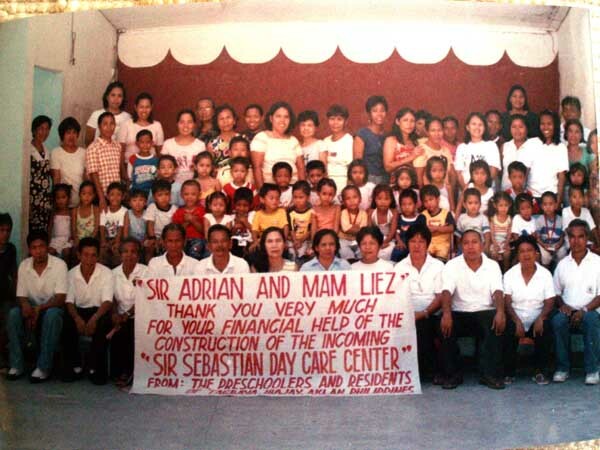 Yellow Flower Foundation was very proud to become involved in the building of the Sebastian Apodaca daycare centre. The Sabay family should be given special commendation for their efforts with the mother leading the funding drive in London, and her daughter and husband on the ground in Ibajay monitoring on progress throughout the project from start to finish. A group effort to fund a mechanised peanut sheller for the benefit of smallhold peanut farmers in Malawi, as we joined with, from left to right: Kate Dresser, Organisational Development & Funding Advisor, NASFAM; Joshua Varela, General Manager, NASFAM Commercial; Andrew Emmott at Twin, and Simon Wright . The hard work is being done	by the dedicated folks at NASFAM on the ground in Malawi. Heidi Bradner www.heidibradner.com was born and raised in Alaska. As a student, she started freelance photographing and writing for the Juneau Empire, the Anchorage Daily News, and other Alaska publications while completing her history and journalism degrees at the University of Alaska Anchorage. After graduating, she began to photograph in Eastern Europe and the Soviet Union and started her professional photographic career based in Moscow from 1991-1997. She has been documenting the Caucasus and particularly Chechnya for many years. She is currently working on a project about indigenous peoples in Russia. As a documentary photographer whose work focuses on Russia and the former Soviet Union, she was awarded the Leica Medal of Excellence for her work documenting the war in Chechnya. She is now based in London. And she is one of life's genuinely good people. Porridge & Rice www.porridgeandrice.co.uk started in southwest London in October 2013 after a group of volunteers to the Nairobi slums decided they wanted to do more, and ongoing. They have been supporting schools in Nairobi (3 and counting) through different types of sustainable programs like providing books, food and feeding programs, basic medical and hygiene assistance and more. Our hats are way way off to Ken and his team at PaR.